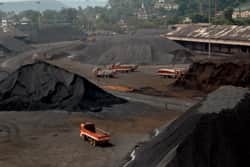 The board of the National Mineral Development Corp. Ltd (NMDC), India’s largest iron ore producer, has decided to raise long-term contract prices of iron ore fines by a steep 47.5%, bringing the price to Rs1,783 per tonne. The new prices are retroactive and come into effect from 1 October. Under a long-term agreement with steel companies, NMDC can increase prices in response to market price hikes, provided they increase above 25%. Before the price increase, long-term prices for iron grade with 64% iron grade averages at Rs1,209 a tonne. Long-term prices are lower than spot prices. Freight on board prices of fines averaged Rs5,200 this month, double the long-term contracted rate. Steel prices also are set up to go up next month, due to rising prices of raw materials such as iron ore. But NMDC officials say they are still below market rates. “Rise in prices has been on a conservative scale even after this revision. The final price fixed is much less than the price prevailing in the market," said Rana Som, chairman and managing director of NMDC. Globally, the spot price of iron ore has been averaging $130-135 (Rs5,122-5,319) a tonne. The board has also decided to increase prices of all lump grades by Rs574 a tonne. Several steel companies that do not own mines of their own have entered into long-term contracts with NMDC. They include integrated steel producers such as Essar Steel Ltd, Ispat Industries Ltd, JSW Steel Ltd and Rashtriya Ispat Nigam Ltd.
NMDC produces 30 million tonnes of iron ore, of which 40% constitutes lumps; the rest are fines, which is the dust generated during ore extraction. About 12% of its production is exported, mostly to Japan and Korea. Most of its low-grade fines are exported to China through private buyers.